A website is the focus point of all SEO processes and if it’s not properly optimized for both search engines and users, your chances of succeeding are minimized. If you are comfortable with the basics, you can skip this part and go straight to the on-page SEO techniques or checklist. On-Page SEO has to do with both technical SEO (titles, descriptions, URLs) and the content of your web pages. The ultimate goal with on-page SEO, is to speak the ‘search engines language’ and help crawlers understand the meaning and context of your pages. Take a look at the above diagram and notice how On-Page SEO intercepts with technical SEO and Off-Page SEO. All three processes have to work together to get the best possible outcome, but the main job of on-site SEO is to optimize the content and structure of a particular page. Search Engine Optimization or SEO in short, is a term that encapsulates everything you need to do to improve your website’s ranking positions in the top search engines. Off-page SEO is about link building and other signals you can give to search engines to convince them about the quality and usefulness of your website. It has to do with promotion methods outside the boundaries of your website. Some people can argue that there are more on page SEO techniques and not only 11, but these are the most important you can apply to your website today and quickly boost your SEO. A website with brilliant content can do great with or without SEO. A website with bad content will not survive with or without SEO. A website with good content can become even better with SEO! Content published on your website first – Even if it’s your own content, if you have already published it on another website then it’s not good for your site (unless you specify the canonical tag correctly). Unbiased content – If you are writing about a certain topic or answering a question make sure that what you write is justified and covers both sites of a story. This is SEO 101 but very important for on-page SEO. When search engines are ‘reading’ your pages, among other things, they check the page title, the description of the page, the headings and content (text, videos and images). Hint: If you are not familiar with this process, spend a few minutes and learn how search engines work. Each page must have a unique title that will help both search engines and users understand what the page is about. A page with title “SEO Tips for Beginners” is better than a page with title “index.html”. The page title was and still is one of the most important on-page SEO factors. Add keywords to the beginning of your page titles – When possible add your target keywords to the beginning of your page title. This helps search engines understand right from the beginning what keywords the page is targeting. That does not mean you should cross the line and start doing keyword stuffing. If you cannot have a keyword at the beginning then it’s not the end of the World. Just make sure that your target keyword is part of the title. Write short and descriptive titles – A page title doesn’t have to be long. The general recommendation is to keep it below 60 characters because this is the average amount of characters displayed by Google in the search results. Include numbers and power words – Having numbers in the title as well as power words like “Ultimate, actionable, amazing, checklist, etc.”, makes titles more interesting and this increases their CTR (Click Through Rate). No need to include your domain in the title – There is no need to include your domain name in the title because this is added automatically by Google. You can make use of the 60 characters to provide an accurate description of the page. Exception to this rule is when you have a strong brand that people can easily recognize, you can consider having your domain in the title. The page description is what the searcher will see in the search engine results page. It has to be descriptive, up to 160 characters and unique for each page. It should be noted that Google does not always show the meta description you provide but many times they use their own if they believe is more appropriate for the searcher. Avoid auto generated descriptions – Even though Google may not use your description, it’s always a best practice to avoid using auto-generated descriptions that sometimes don’t make sense. Add your target keyword(s) in the description – Google still highlights the search terms both in the title and description so adding your target keywords, makes descriptions more relevant and appealing to the searcher. Content SEO is part of on-page SEO and has to do with optimizing the actual content for your target keywords. Before publishing a piece of content (whether this is text, images, audio or video), the first step is to do your keyword research. This is necessary to find out what search terms users are typing the search box and create content that can satisfy their intent. Once you decide on your target keywords, you should create a list of related keywords (also called LSI keywords) and use them in your titles, descriptions, headings and page content. Why? Because with the introduction of Rank Brain, Google search algorithms have become more intelligent and they are no longer looking for keyword relevancy in content but for topic relevancy. This means that in order to make your content more relevant to broad topics, you need to enrich your content with LSI keywords. There are various ways to find out which keywords are considered by Google to be relevant to your target keywords. The easiest and fastest way is to take advantage of three features provided by Google: Google suggest, People also ask for and Related Searches. When you start typing a query in Google search, you are presented with a list of possible phrases to use in your search. These are great keyword candidates to mention in your content. When you click search, Google shows you the results and among them a section called “People also ask”. These are good candidates to use in your sub-headings. At the bottom of the search results, Google shows you a list of related searches. All you have to do is that you mention some of the above words in your content (without doing keyword stuffing). A page needs to be properly formatted. Think of it like a report which needs to have a heading (h1) and sub headings (h2, h3). Each page needs to have only one H1 tag. If you are using WordPress then by default the title of a page is wrapped into H1 tags. You can either choose to have the same <title> and <h1> tag or provide an alternative title for the heading. Avoid using a single word for a heading but make your headings interesting and useful for users that like to skim read an article. Use headings hierarchically i.e. the first heading tag is the <h1> and then the <h2> and then <h3>, <h4> etc. The subheadings are a great place to use related keywords in your content. Do not just throw text on a page but make sure that it is readable. Use bold, underline or italics to highlight the important parts of a page. Use a good size font (at least 14px). Split the text into small paragraphs (max 3-4 lines). Use enough spacing between the paragraphs to make the text easier to read. Make use of CSS to create sections that stand out and break the text into smaller more manageable parts. Images are important for presentation purposes. They make a page more interesting and easier to understand. One of the biggest problems with images is that they add to the loading speed of a page. Optimizing your URLS is important for maximum SEO. It has two parts. The first part is URL optimization and the second is URL structure. 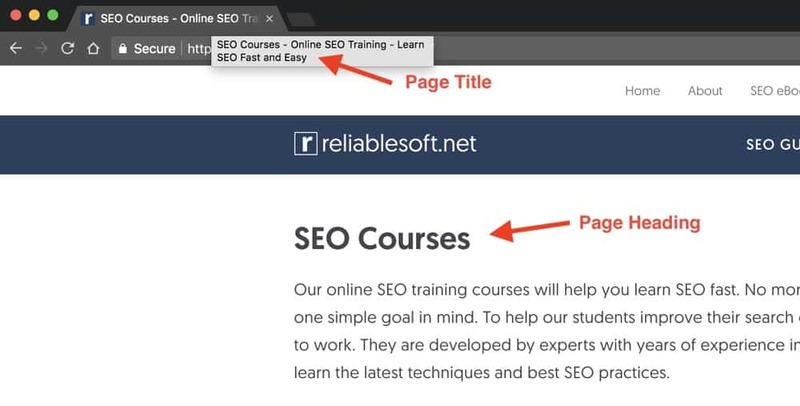 Some SEO Courses, including our Complete SEO Course, have URL optimization as part of ‘Technical SEO’ but it’s also strongly related with On-Page SEO, that’s why it is mentioned here. 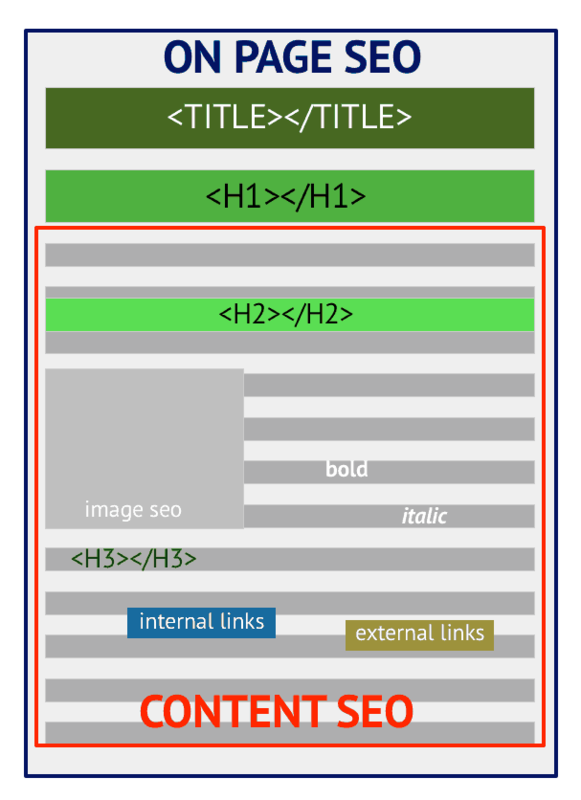 If you take a look at the SEO Overview diagram (above), URL optimization is in the grey common area between technical and on-page SEO. A permanent link (also known as a slug) is the unique URL of each page. Good URLs should be less than 255 characters and use hyphens to ‘-‘ separate the different parts. Just like the page title, an SEO friendly URL is short, descriptive and includes your target keyword. The URL structure should mimic the actual structure of a website. Make use of categories – Group your pages into categories to help users and search engines find what they want faster. It’s like having a warehouse with lots of uncategorized items versus a warehouse with all the items assigned to a dedicated category. Add a Breadcrumb menu– A breadcrumb is helpful because it allows users to navigate your website in a structured way since they always know where they are and how far from the home page. It’s like building your own web: The first step a search engine spider will do once they discover a page, is to follow the links they find on that page (both internal and external links). So, when they arrive at your page, if you don’t have any other links within the text they will read your page and go. If you have links pointing to other pages within your website they will take those into account as well. It’s a way to tell search engines which your most important pages are: Every website has some pages that are more important than others. Internal linking is one of the ways to pinpoint the most important pages by sending them more internal links. It’s a way to increase the users spend on your site – A user that is reading your post is more likely to click on a link to read more about a certain topic and thus increase both the time spend on your website, number of pages per visit and decrease the bounce rate. After the release of Panda and Penguin, a lot of webmasters are afraid to link to other websites. They believe that this will trigger a Google penalty but this is wrong. By linking to other high quality related websites, you increase the trustworthiness of your content and this is good for SEO. Also, Google can use external links as a way to understand more about the topic’s you are covering in your content. Last but not least, 2 SEO techniques that are becoming more and more important are: speed and mobile friendliness. Google is investing a huge amount of money to make the web faster. In every Google I/O someone will talk about the importance of speed and their desire to include the fastest websites in their index. In order to ‘force’ web site owners to take speed into account they have officially added speed as one of the known ranking factors. As a webmaster your job is to make sure that your website loads as fast as possible by taking into account Google’s recommendations. Having fast loading websites is not only good for SEO but for customer retention and conversions. Almost 60% of the searches in Google are now coming from mobile devices. This means that if your website is not mobile friendly, you are already losing half of the potential traffic. As a first step, make sure that you website is mobile friendly. Check your website with the Google mobile friendly tool and fix any potential problems. Then go one step further and test your website on mobile, like a real user would do, and make sure that everything is displayed correctly including your CTA buttons. In general websites with a responsive design, have nothing to worry about mobile friendliness. Blog comments are still important. As stated by Google’s Gary Illyes , it’s an indication that people like your content and interact with the page and this can really boost your SEO. Users before posting a new comment, they will most probably read the existing comments and this is an additional way to increase the time they spend on the page and your website. Always reply to comments, this will encourage more people to comment. If you have read the article up to this point, the main tips are summarized in the checklist below. Hint: For those that love checklists, checkout our Ultimate SEO Checklist that covers all SEO concepts. Make sure that you understand the difference between on-page SEO and off-page SEO. Make sure that your content is original, useful and well researched. Review and optimize your page titles by adding keywords, power words and numbers. Provide for a unique meta description for all your pages (include your target keywords). Perform keyword research and make sure that your target keywords are part of the title and content. Find LSI and related keywords and use them in your headings and content. Make sure that your page has only one H1 tag. Use headings hierarchically on the page (H1 -> H2 -> H3). Beautify your content (use bold, italics and CSS). Optimize your images and other multimedia elements (ALT Text is the most important factor for images). Make sure your URLS are SEO Friendly and that your URL Structure mimics your site structure. Add internal links to your content. Add outbound links to your content (link out to high quality related websites). Make sure that your website loads in less than 3 seconds (both desktop and mobile). Encourage comments but only publish comments that make sense. On-page SEO is more important (at least for new websites), and I will explain below why. Search engines are computer programs (software) and they don’t ‘see’ a website like a normal user, but they can only understand code and in particular the HTML language. With SEO and especially on page SEO, you ‘speak’ their language. Your goal is to help them understand, by giving them various signals through the structure of a page and content optimization, what a page is all about. The more signals you can give them, the greater are your chances of achieving better rankings. For those cases, on-page SEO has a lot to offer both in terms of usability and also in terms of traffic. 5) Off page SEO comes after on page SEO: Before even starting to think how you can promote your website, you need to ensure that it is optimized and in good condition. So, the first step is to work with on-site SEO and then go off-site. 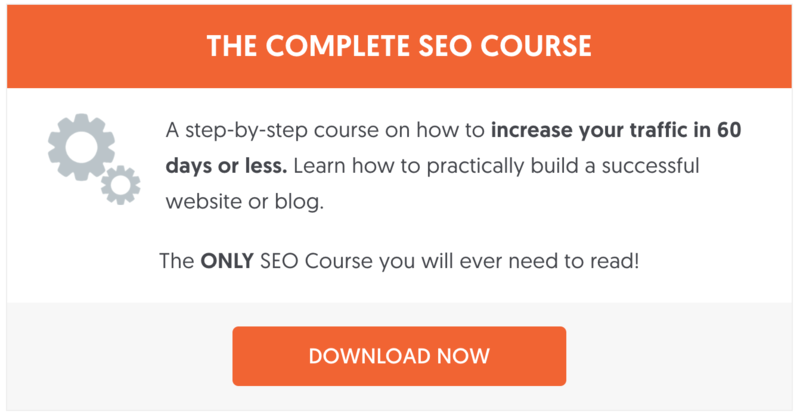 The on-page SEO checklist you’ve featured is superb! I agree that both on-page and off-page SEO are required in order to gain maximum exposure, however I would also agree that on-page SEO is more important out of the two. Great article – thank you! Thank you for your nice comments. Please make sure you register to my newsletter and I will post a few articles about link building and off page SEO in the coming weeks. I couldn’t agree more, most people completely miss these simple facts. Ultimately content exist for users not robots, so it should be done accordingly. On Page SEO mostly comes down to understanding how write for people, so following the standards in terms of organization and communication that newspaper publications, academic papers, and books utilize will definitely impact results. Great post! It is true that while on-page SEO is simple and straightforward, most websites get it wrong. Newspaper, academic papers and books are great examples for publication standards! If we bold a simple text , is it categorized as a keyword ? No, if you bold text that does not mean it is a keyword. You can use bold to draw the attention of the user to specific parts of your text. Then what makes a text a keyword with respect tot he search engine ? Instead of just bold – should we bold and italic it or underline ? Thanks a lot of you nice comment! I am new in seo field. I want to know how I can get better page result on google with off page. I have one question. Why we cann’t do most relevant directory and link exchange? The answer is simple, both these techniques are not natural ways to get a link so if you are ‘caught’ doing it, you will get a penalty by Google. Think about it this way: what is the real purpose of directories and link exchanges? If the answer is: to get a link back to my website to increase rankings then it’s obvious that this is violating Google guidelines. Thanks for the quick response. I am a link builder. And in this present scenario what is the future of a Link Builder? What would be the effective method should a link builder follow to get the rank? Nevertheless I still believe that concentrating on producing high quality content is the way to go. please let me know why we use the robot.txt and how to do? Can I use a company Google+ profile to do authorship? Im working on seo for our site and this post is really helpful for me to work on page seo and also i clearly understood about on page seo. Thanks for this post. Excellent and well explain. Quality content is the king around getting found. Thanks for posting this great list. First of all thanks for this wonderful post. I usually wonder why people work more on off page rather than on page. I had my personal opinion to make the structure of the website intact and then try to promote it. And, This article told everything what i wanted to tell my colleagues. Thanks again. i sincerely agree for the above post.. ON optimization is like a foundation of a building , if foundation of the building is strong you can build many floors , (same in seo if on optimization is strong, then only your off optimization works. Very well said…on page SEO is indeed the foundation for a strong website. Thank you Alex, the checklist has been extremely helpful to me. I never done all the activities manually, as I have been using website auditor and it just scans your site and gives detailed on-page suggestions along the way. Still, I got some interesting insights from your post, especially with regard to internal linking and authorship. Great share! Thank you very much Alex Chris.This post is really very good and informational. i have one question, What is latest techniques in OFF Page SEO? The article is worth praising, all the techniques are very well explained and every technique is unique in its own manner. There are more techniques which you can include but what ever you have carved it explains every point in exact manner what it need to be done. Good stuff. I like the small infographic or image you had (the 5 rules or points part). I think writing for humans is important but don’t ever forget SE. Practicing a balance of both is hard but very much possible. Not forget, it gives better results too. 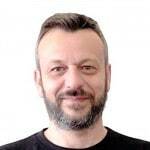 nice article alex, this will help to get more details regarding seo services for begginers as well as professonal people keep it up. i’m expecting this kind articles from you. thank you sharing valuable information. Great information here,specially for beginners like me. My site ranking for targeted keywords has improved a lot after applying this awesome points. Nice to hear that our post has helped you. There is no need to add meta keywords as these are ignored by search engines. Hey Alex nice on page seo tricks. but can you explain off page seo tricks? Great tips. I’m going to work on this all night, thanks! Your SEO article is great.I think this is the best seo article I ever read. Thank you very much for sharing this. I have one question, how the page rank between android phone and windows pc is differ?For an example, when I type something in google search, say “best sport car 2014” I found a search result for a same blog appear in 1st page in android but in 3rd page in windows pc. The ranking position of a keyword is different when viewed from a desktop browser and from a mobile browser because mobile optimized websites can achieve better rankings in mobile search than websites not optimized for mobile browsers. Nice and very informative article Alex. thats very helpful for newbies. i love your writing and appreciate your skills. Really a very good piece of information. I have read many of the tips here on many occasions. But the last one namely Speed is the new one for me. Thanks for the cool info mate. Nice article, got lot of help from my new site, and 100% agree with you, we are trying to do some things like as per your advice, thanks Alex for sharing. Two more factors that I consider valuable for on page seo is to make your website mobile friendly and definitely moving your website to SSL servers can give you boost in ranking. The on-page seo is changing with time. Absolutely right..!! Fresh/Unique content will automatically perform well in SERP. Keep in mind on-page SEO,I changed slug of my old post,now what will happen will old URL?Is it good for SEO to change slug.? Thank in advance. Great, You have included the Whole industry in this awesome post. Great Keep updating and make it Evergreen.. 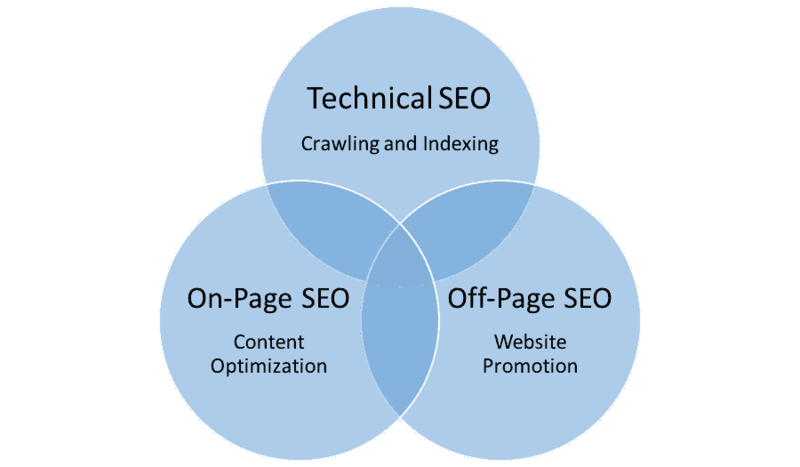 Superb information regarding on Page SEO thank you Alex for writing such a nice article . Good work keep writing more interesting posts. That’s true, you need both on-page and off-page SEO to get some really good results. All the points are explained very clearly, Great source of information about on-page seo strategies that boost the rank. Thanks for en-lighting us with your knowledge, it is helpful for many of us. First of all thanks for this great post. I usually wonder why people work more on off page rather than on page. I had my personal opinion to make the structure of the website intact and then try to promote it. And, This article told everything what i wanted to tell my colleagues. Thanks again. A good site structure is one of the most important SEO techniques to adopt and this is something that will also make your website SEO friendly. nice posts and share beautifully tips. Amazing post Alex, thanks. The only thing that I feel is you missed the point of responsiveness of the website. True. It is now added (article last revised, December 2016). Very lengthy and descriptive article! The importance of on page SEO is more than just what many bloggers think it is! Great content posted. On-page SEO is powerful, if you update your website into a well contructed on-page SEO even you dont have enough backlinks or off-page SEO, you can still be on the top of the search engines. Well, Greatly described Points. But I agree with most of your points. I agree with you, my only comment is the word ‘easily’. A nice url structure, good links, and good on-page SEO can do the job but it takes time and needs a lot of work. some of the Onpage optimization in SEO are Finding broken links, Meta description, Alttag, Title tag, Inbound link, URL structure etc are the technique which I use to follow. Great Post. Thanks for sharing this article. Great post Alex, it’s useful to understand how your site can benefit from on site optimisation and improve rankings through value added content. Very nicely written ! helped alot . Thanks man! Thank you as well, glad I could help! Once again a great post Alex .I think both the on-page and of-page SEO are important to rank on google or any other search engine . A note about the image file names… your example has spaces in the filename. That might confuse beginners. “Man-doing-pushups.jpg” might be helpful for newbies. Thanks for your nice comment. Make sure you register to my newsletter to receive my new posts. Really Nice and all those correct. Good post. I believe on-page seo is a very important factor in ranking a website. Very long and interesting post. On-page SEO is powerful as well as OFF-PAGE SEO, As I have triedI don’t have enough backlinks or DA or PA. Yet One of My Post comes on 1st SERP. because of On-PAGE SEO. You also can be the top of the search engines. As Google, only Considering the Fresh and Unique content which will automatically perform well in SERP. Thanks dude for sharing great On-PAGE SEO techniques. A website ranking is hidden in On-page SEO and I think the strongest the On-page SEO the higher the chances to rank in search results. Internal Link & URL Structures are the basic things we should Focus on as well as on other jorgans. Wonderful article. Robots txt and sitemap is also most important for the website in seo. Good Information for the beginner seo. Thx for sharing. You have covered a lot of ranking factors in your post. So it is very helpful. Day by day SEO has changed a lot. You have covered everything about On – page SEO. Is Google authorship working now? Someone tell it’s not working now blah blah blah! 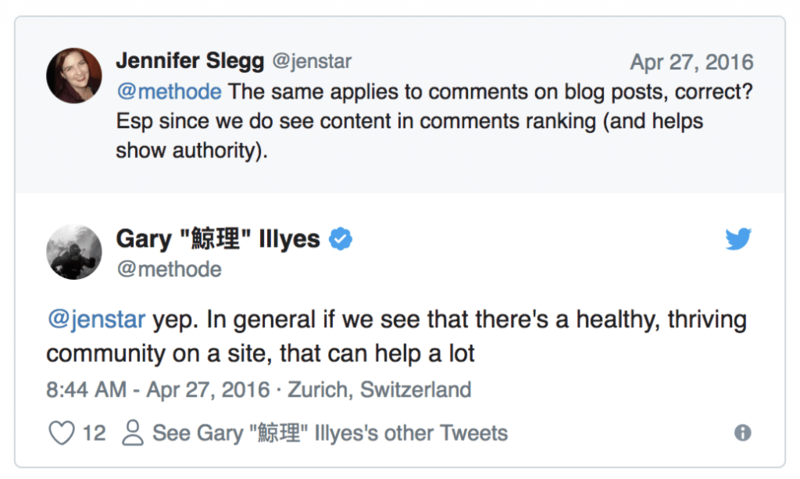 Is Google changing their rules about Meta Description? I will come back again and find your answer. Overall your post is a complete guideline on On – page SEO. It’s very helpful. Thank you Josh, all the best with your SEO efforts. hi i love this post related to the seo techniques. Google regularly changes it update. In that scenario, it is very important to follow fair seo techniques. If you follow solid SEO techniques and practices, you don’t have to worry about Google updates. Along with website site speed, mobile friendly etc i also think that website DA PA also plays a very important role and also how webmaster is updating content . I have a question re: content length. Does your 1,500 – 2.000 word recommendation apply to site pages as well as blog posts? All the locally targeted keywords relevant to my site are highly competitive, and I’m trying to figure out how much content I should shoot for on each page. The best way to find out how long to make your blog posts or pages, it to search Google for those keywords and study the first 10 results. This will give you a good indication on how much content to provide. Of course, don’t forget that it’s not always a matter of quantity but quality. Thank you for sharing such great insight on onpage seo. I have surely learnt a thing or two. Seo can be verry difficult. Because it is changing every day. I had a page on page 2, after it went down to page 3. In about 3 weeks it was on the first page. I really could not believe it. And i did know what to expect from it. You really have to keep going on, and keep on changing and moving. If you leave it, you can’t track the outcome, maybe you will end up on page 1. But i think you will and up on page 5. Reading more of your posts! No, not at all. Google is clever enough to distinguish between actual content and navigation elements (or other design elements of a page). The problem is that I manage an e-commerce site and the navigation has ~160 internal links to categories. I believe that this navigation menu, being placed before the actual content, negatively influences the pages’ main subject, confusing the search bot. For eg, in the Laptops product listing, the search bot will process the navigation menu first (which contains sub-categories for smartphones, TVs, gaming consoles etc) and I think the search bot might think that the page is more general, because of the variety of keywords in anchor tags. I saw this technique at other competitor websites (which rank higher), I don’t think it’s black hat seo (it’s the same html code for the search bot and a real visitor), I’m just worried that the search bot might not understand the real content and use of the page. It’s not black hat SEO for sure and if you have the technical knowledge to do that then go ahead. Making the job of the search engine bots easier, is always a good think. Great article Alex. What’s your take on SSL certificates? Do you think SSL-certification plays (or will play, in the near future) a significant role in boosting a site’s rankings? SSL is important and it will become more important in the near future. Other thighs being equal, an https page will rank higher than a non https page. Besides the ranking advantage, having SSL is also good for the ‘user trust’, which is equally important. Thanks a ton for this valuable information. I’ve started implementing all the above you mentioned. On-page optimization always prioritizes off-page optimization – to ensure your visitors are engaged on your site. The tips you’ve provided are really helpful, especially that concise checklist in the end section. First of all, I want to thank you for this article. Really good and much-needed information for every blogger. Actually, I am new in blogging, your on-page strategy helps me to optimize my blog post. In a less competitive niche you can certainly rank well with only good on-page optimization but with many niches you do need a good overall off-page link building campaign. Creating good content and reaching out to sites in your niche to share it with them and asking for a link back is a good place to start. As far as I know, URL structure & Load time are the ranking factors that can be followed easily by a webmaster to rank their sites higher than before. Your article & references did help ME! i want just say without On-page SEO, you can not perform Effective Off-page SEO. Thank you so much for that article. You explained SEO so well and I am no longer confused. Thanks for making SEO so easy to understand. Now I can apply this knowledge to my own website. I think building do follow & high quality contents to a site organically can also boost site’s traffic. Alex, This post is really informative for me..
Great post and useful information for on-page SEO optimization. Definitely, on page optimization counts in ranking but from my experience, the most important of all ranking is site authority. On page SEO (including technical seo) is literally the 80-20 when it comes to ranking. Once you have the technical aspect & basic on page techniques set (as you mentioned) it takes a lot less links to get to the #1 spot. Great article Alex! How can we optimize a website for Voice search feature? Your advice is appreciated. Wow! What a great guide Alex. You have explained everything very well. On-page SEO Tips are just awesome. Thank you so much. Hello, Nice article. I’ll try these techniques on my blog to boost ranking. Yes, try them out and let us know how it goes. Hey Alex! I must say you nailed it! The most detailed on-page SEO article that I’ve found. I was doing some research for my next post, and I think I came to the right place, where I can find everything about on-page SEO. Very good job Alex! Will make sure to include this page on my next post, because it is so valuable! Send me the link once your post is ready. Great article Alex! I have been reading so many articles talking about backlinks and content being the best way to move up and rankings but this article changes my mindset a bit. Thanks for sharing your thoughts! Thanks for sharing this valuable info about the SEO, It will really help me to improve my site rank, I will definitely try these techniques on my website. Thanks for great article Alex, my all doubts have cleared. Can I use H2 and H3 more than one time and can I link other websites as H2 or H3? Great post and useful information for on-page SEO optimization. These are the good techniques how to get rank your website on first page.Use SEO-Friendly URLs, Start Title With Keyword, Use Responsive Design and Use Outbound Links are the strong on page SEO techniques you have mentioned in your post. Solid list. Quality content seems like it’s become a cliche but “seo-focused content” that doesn’t serve user intent just won’t get the job done. Best SEO technique as per my thoughts is the In-Depth article that provides all the related information of the topic at one place. This is very helpful to get rank in top of google search result. The content of your website is really good. You have a good knowledge of on-page SEO, really thankful to you. Keep posting. Keep growing. This seems to be like a very good post! We have to follow this on page SEO techniques in order to boost your website on top of the search results. For quite a long time now I have been following your posts. I must say that it has benefited me and many like me, a lot. It’s 2019, the world of Google and Facebook, and if you want to be a successful entrepreneur or a business owner you cannot ignore Google and Facebook. SEO is the best and economical way to earn more business through Google. But, to be honest SEO these days is difficult. Without on-site SEO you cannot rank your website on the top of the Google. I believe that backlinking is still an essential element that helps in gaining top page rank. But, every SEO professional should keep in mind that without an excellent on-site SEO gaining a top page rank is almost impossible. Anyhow, this post is great! Anyone who wants to learn on-site SEO should read this post carefully. This is a complete guide on what you can do on the site. All the Techniques mentioned are useful and help you in getting good organic results. Thanks for sharing this piece of content. I’m very glad to read easy on-page techniques. 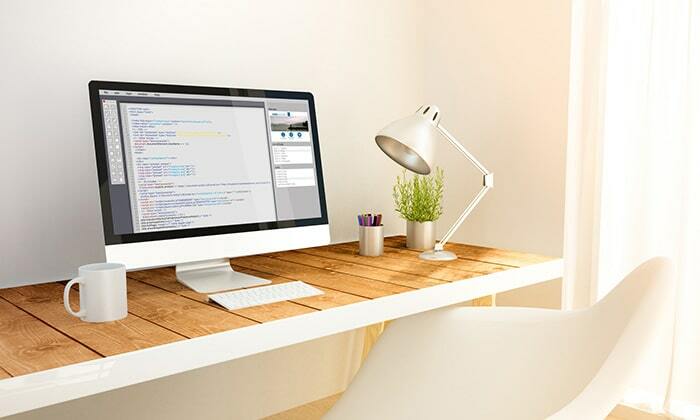 Even the beginners will know how to develop their site and generate the traffic to their site. The external link should be the do follow link or no follow link? The checklist you have given is really amazing. Thank you for your valuable lore. For SEO, both On-page and Off-page Techniques are very important. This blog is very useful for me to optimize and boost ranking for my website. Thanks for sharing. the on-page SEO checklist you’ve featured is superb. This post was very helpful for me, thanks for sharing. Thanks for sharing information. Really it’s helpful for us and also for beginners. These new techniques help to improve ranking on search engines.